Our version of the classic billfold, only slimmer. 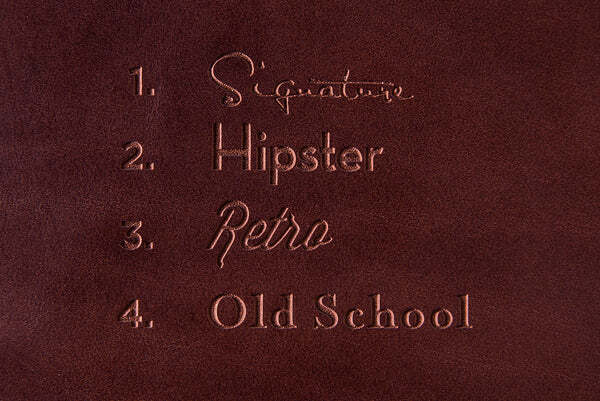 Crafted from 4oz vegetable tanned Tuscan leather, our billfold blends traditional style & functional design. Featuring two secure slots, for up to six cards; and a generous pocket for notes. The Slim Billfold holds the essentials and will quickly become part of your EDC (everyday carry). Each wallet is meticulously and skillfully made to order, using a mix of traditional craftsmanship and modern personalisation techniques. Personalization is free. To have your Slim Billfold wallet personalised with your initials, name, or custom text, select a font from the drop-down menu and add your custom text in the box provided. Should you wish to submit your own Logo or Artwork, place the order and email us the image file along with your order number here.